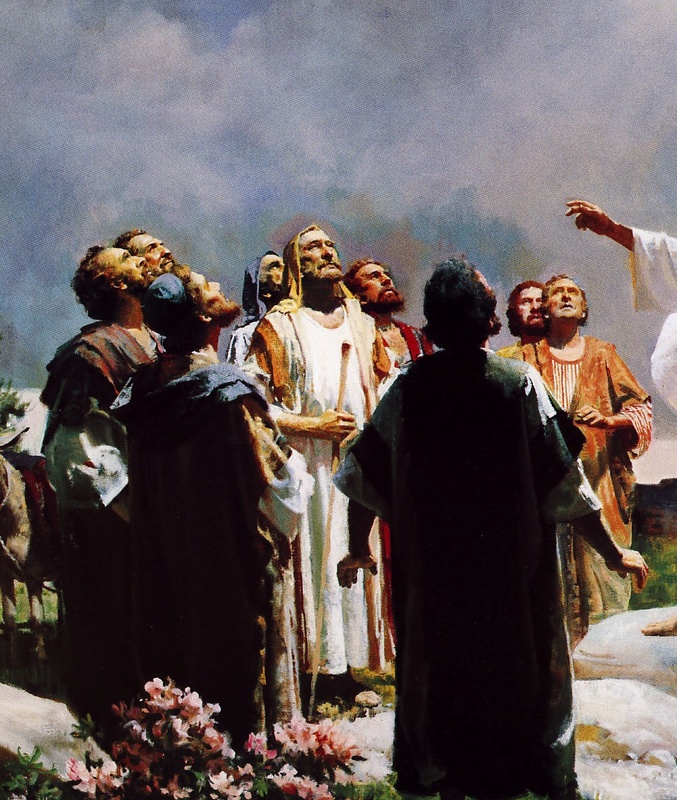 Feast of the Ascension: God in the "in betweens"
It has been said that as Christians we are always, “aliens in a foreign land.” We might look the same as others, we might talk the same, we might act the same but as Christians we are never fully at home in this world. Our souls will always be, in this life, to some extent or another, “restless”. At some level we know that our true home still awaits us. As Christians we do not disdain the world nor do we see it as evil. The opposite, in fact, is the case – we value the world, we marvel at its beauty but we view it within the fuller horizon of the love, truth and hope that we have come to know in Jesus Christ. What we have come to know in Christ affects everything – even how we judge our place in the world. This must have been especially true for those first disciples. They knew Christ. They had spent time with him. They experienced the resurrection. And now, we are told, they watched him ascend into heaven but things are now different – they cannot go back to the way it was before – it can never be the same. As Christ ascends, they stand in between the earthly ministry and presence of Jesus and the promised fullness of the Kingdom. “Men of Galilee, why are you standing there looking up at the sky?” In other words, the angels are reminding the disciples even as they stand in between, “Remember, you are in this world and there is work to be done,” but, they also say, “This Jesus who has been taken up from you … will return in the same way…” but, “keep your eyes on heaven.” As Christians we live with our feet planted in the world but our eyes on heaven. Right now (like those first disciples) we live “in between”. As humans, we are not all that good about living “in between” – we like to be either here or there but one of the gifts of the days of Ascension – the time between Christ ascending to heaven and the coming of the Holy Spirit on Pentecost is to teach and help us recognize that God is present even in the “in between” moments of life. All lives have moments of “in between”. The announcement of pregnancy to the birth of a child, the ending of one career to the beginning of the next, graduating from college and preparing to either enter the job market or to move forward to graduate school, the moving from one place and culture to another, the pain of losing a loved one to the acceptance of memory and hope, even the pronouncement of a terminal illness to the point of death – these are all moments when we stand “in between.” Life is full of “in between” times. Let us not assume that God is not present in the “in between” moments of life. Even if we cannot go back, even if things are different – God is still present. We have experienced the fullness of truth and love in Jesus Christ. God will remain with us even to the end of the ages and through all the in betweens. As Christians we live with our feet in this world and our eyes turned toward heaven. Thank you, Father. My baby will be one year old tomorrow. During my pregnancy, I was also getting a divorce and my husband and his attorney were very cruel.